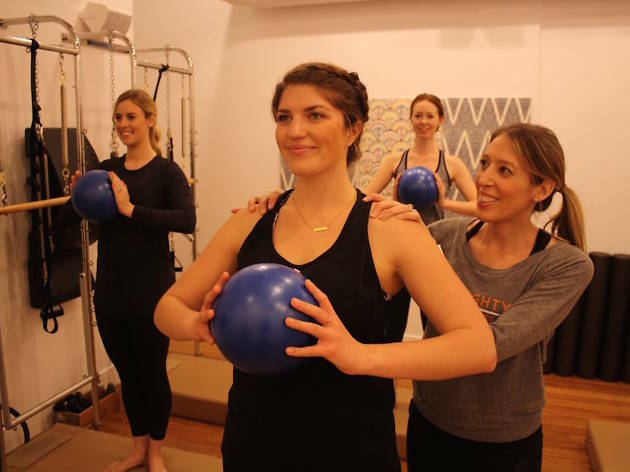 Studio of choice for Pilates pros and Pacific Heights moms, Mighty Pilates is all classical, all the time. Housed in an intimate yet airy studio in Laurel Heights, with top of the line equipment, classes are focused on building technique no matter what your Pilates experience. A foundational series is available for newbies to learn their way around equipment, while a Core and Booty class and a Re:form use both the reformer and tower machines to build strength and tone the traditional Pilates way.